Ready for Your Family to Start Sleeping Better? Welcome! We’re pleased that you found us and are interested in learning more about getting you and your family better sleep. Rest assured, you will start sleeping better again! If you’ve reached your limit and are looking for immediate support, start here to find the sleep consultant closest to you. Good Night Sleep Site was founded by Alanna McGinn more than 10 years ago and now comprises of an incredible team of sleep consultants across North America that help children and adults get the sleep they need, all across the world. At Good Night Sleep Site® we hold ourselves to the standards of the International Association of Child Sleep Consultants. We believe that this Association upholds the most rigorous industry standards. All of our consultants have graduated from The Family Sleep Institute which comprises of an extensive 6 month certification consisting of 250+ hours of training. To maintain our certification we are required to undertake further education courses which allow us to be up to date and to explore different areas that help us support our Good Night families. For more details on our extensive training and backgrounds, scroll to the bottom of this page. We don’t just work with one method or with one parenting philosophy. We work with families to develop their own plan within the science of sleep and with methods that have been proven to work. 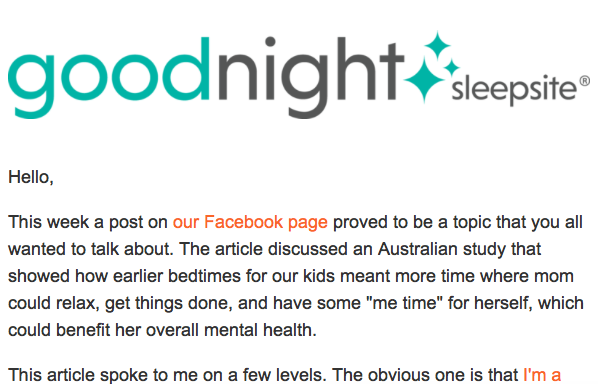 We at Good Night Sleep Site believe that a good sleep consultant helps families sift through information about the biology of sleep and sleep hygiene to find what will work best for them and their family. We don’t offer one standard method and we will never offer you a Sleep Plan or program in-a-box that we offer everyone else. All of our plans are 100% customized to your exact situation and comfort level. Read what our clients are saying about us on our Testimonials Page. Good Night Sleep Site loves communicating with current clients, past clients and really, anyone looking for support and information on how to sleep better. We provide information, tips and product reviews frequently and we use a number of ways to keep you up-to-date and informed. First, subscribe to our email list to receive our useful monthly newsletter along with other tips and inspiration for keeping your family well rested, healthy and happy. We can assure you that your email address will never be shared and you can unsubscribe at the touch of a button. Subscribe to the This Girl Loves Sleep Podcast with host Alanna McGinn! 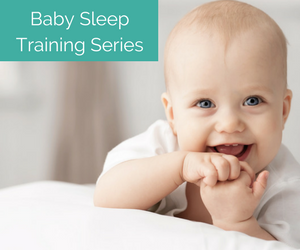 Alanna provides quick sleep tips for your entire family and discusses parenting and lifestyle topics you want to know about. We post useful information on sleep, parenting and healthy living as well as links to things we love on our Facebook Page. In addition to our interactive Facebook Page (we frequently answer questions or share information via live streaming), we also have a Facebook community where we have our sleep consultants answering your questions each week. We’d love to for you to be a part of the group and encourage you to join. As mentioned, we encourage and love chatting with people interested in being better rested. Be sure to find us on Twitter and let us know if we can answer any questions you might have! 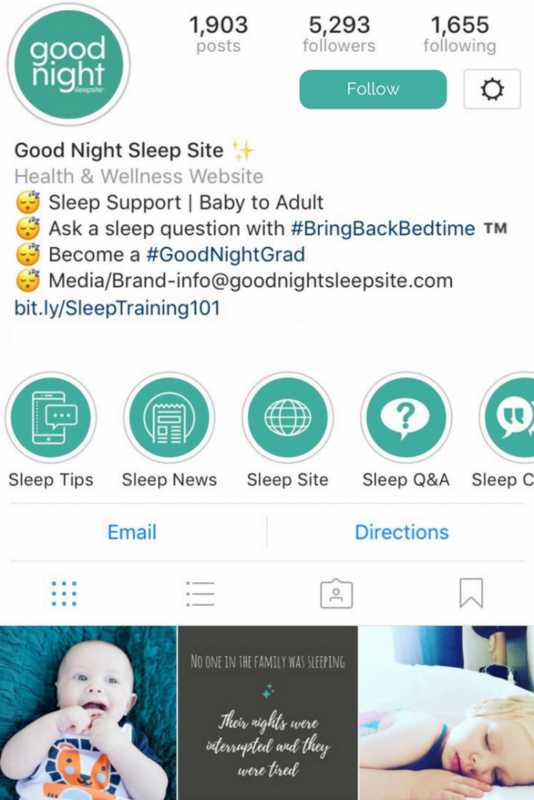 You’ll also find us on Instagram sharing real life sleep tips and our experiences when speaking at conferences or events to educate people on the importance of sleep and sleep hygiene. 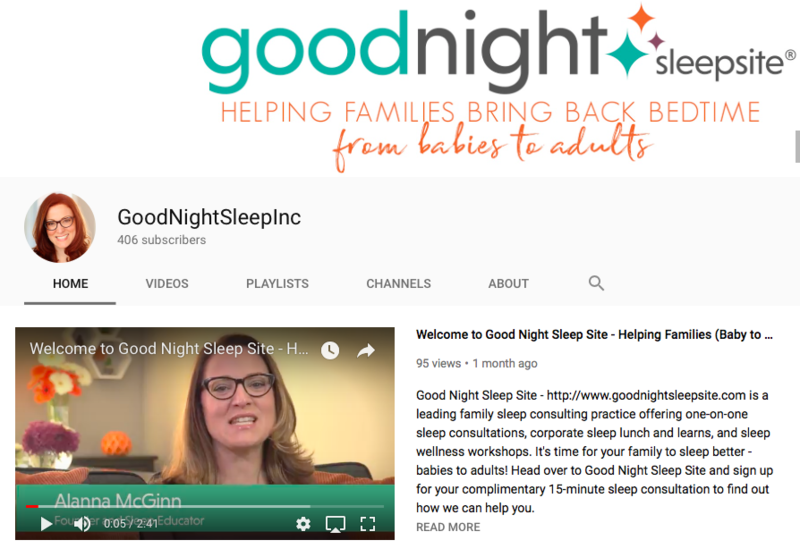 Check out Good Night Sleep TV as we share videos that answer questions from parents and inform our audience about great resources and products that can help you in your quest to be better rested. Follow us on YouTube to be notified when we upload new videos. We love using visuals for sleep education too, so of course, our Pinterest boards are a great source of information and inspiration. And please, contact us if you have any questions. Want to learn more about our training and education? Ask us! We would too if we were hiring a Sleep Consultant. In addition to working one on one with families all over the world, Good Night Sleep Site’s founder, sleep expert Alanna McGinn, is a sought after speaker and presenter, published writer and delivers customized sleep clinics for corporations and events. Find out how your company can work with Alanna. These blog posts are our most popular, driven by the issues that most people struggle with when it comes to getting their family to sleep well. Is It The 8-10 Month Sleep Regression? Should You Take Melatonin to Sleep Better? We have hundreds of sleep related articles on our site, so feel free to take some more time to dig around our site. For any media or general inquiries, please contact info@goodnightsleepsite.com.